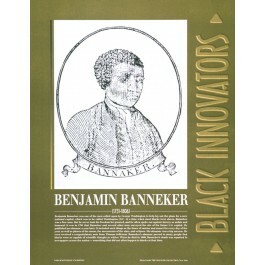 This educational poster of Benjamin Banneker features a historic black and white drawing of this great African American innovator, along with a concise biography. Benjamin Banneker was one of the men who helped lay out the plans for a new national capital in what is now Washington, D.C. 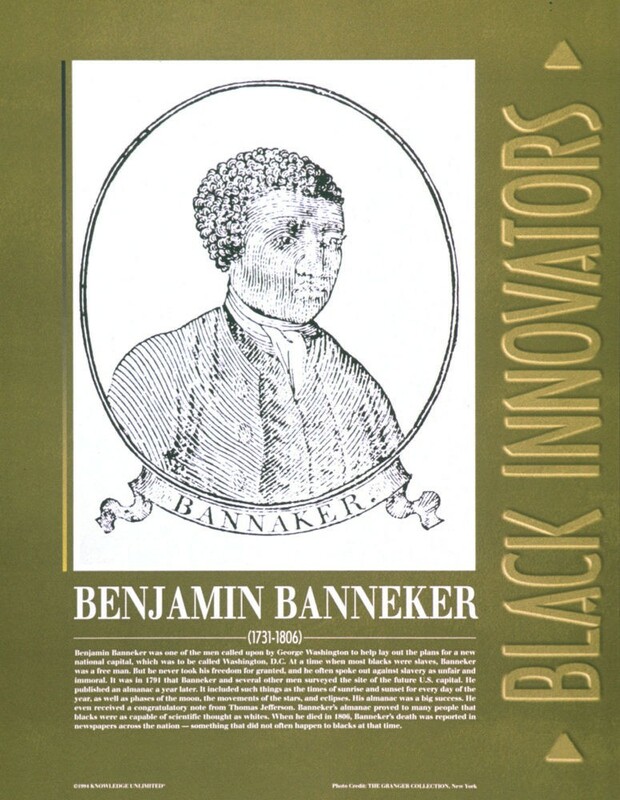 This poster introduces students to the life and great accomplishments of Benjamin Banneker, a scientific thinker who broke down barriers at a time when slavery was still common in America.